There are times, like during the write-up for last week’s episode, “Tool And Die,” when I can definitely be accused of being too boosterish in relation to The Adventures Of Pete And Pete. It’s a common pitfall in nostalgia-related journalism, and it’s something that we at The A.V. Club try and avoid by really looking at things we loved or that are culturally important, like Pete, The Real World, Clarissa Explains It All, or even very special episodes of Dinosaurs. There’s a grand tendency on the Internet (and beyond, for that matter) to say, “Oh, hey, remember X, Y, and Z? I remember them and you remember them so they must be great.” Fact is that’s just not really the case most of the time. It’s certainly not the case with this week’s episode, “Don’t Tread On Pete,” which I think might be one of the weakest episodes in the entire Pete And Pete catalog. It’s not for lack of trying, as always, but rather because the showrunners maybe tried just a bit too hard on this one. In writing an episode that takes place in literally three locations—a hallway, a lunchroom, and a gym—the show went for a plot based on mental strife and doing what’s right, but ended up with something kind of boring and overridden with ancillary characters. Take, for example, Pete’s regular lunchtime crew. Did we really need the introduction of a cut-rate Ellen named Magda, or Dan, who’s only plot point is that he’s carbing up for wrestling tryouts? It’s nice that Pete has friends and all, but Teddy, Bill, and Ellen would have sufficed and would have gotten all the points across. 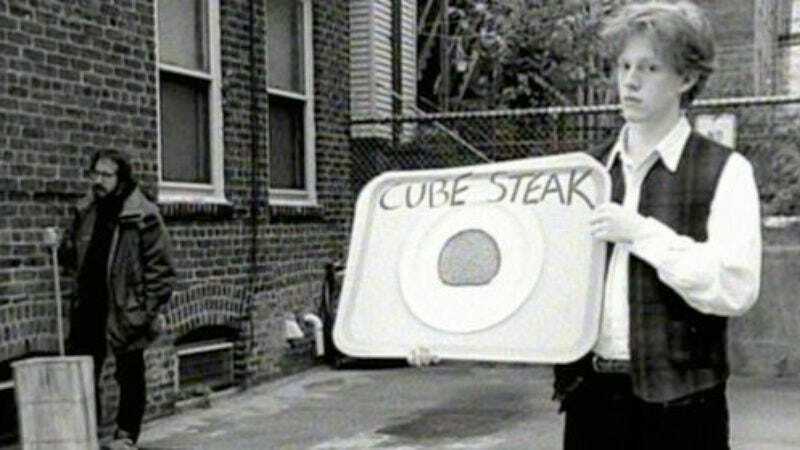 Secondly, it’s certainly hip and everything that Juliana Hatfield starred as lunch lady Emma who tells Pete not to eat the meatloaf and that she’ll meet him in Iowa—but again, who cares? Her character doesn’t move the plot along, period. As for that plot, turns out there isn’t much of one in this episode. Not that there is usually, but the idea that Pete forgot a test and then has to learn everything over the course of a lunch or else risk ending up like the school janitor for the rest of his life is not only a little boring but also kind of insulting to that janitor. Sure, being a janitor’s not a glamorous job, but the mere suggestion that janitors are people who were exiled to that life after they did poorly in ninth grade is just kind of grating. It’s the international adult conspiracy at work, maybe. Who knows about ol’ Cecil Tucker? Maybe he went to ’Nam and got Agent Oranged or maybe he’s just really into cleanliness and making schools the best place possible for students to learn. It doesn’t really matter, though, because in Nick shows, adults don’t really understand. Emma might understand because she’s barely an adult, but callous teacher maniacs like Mrs. Beardsley, with her varicose vein leg map, and Mr. Cornwallis, with his dodgeball army, just don’t. They’ve forgotten what it’s like to be a kid and in doing so, their only role in life is to torment kids. Maybe the issue with this episode isn’t with the number of characters but rather with the razor thin storylines they’re given. That’s not a new idea on Pete And Pete—see Michael Stipe’s Mr. Scrummy—but at least most of those characters have a sense of decency or a backstory that makes sense. We get why Little Pete might befriend the crossing guard or why Endless Mike is, in fact, so endless. Why Pete is friends with Dan (or even Teddy or Bill for that matter) is never all that clear—but then again, neither is the reason why this episode is just not all it could be. The best part of this episode is, I think, when Pete does the Bob Dylan homage to various styles of meatloaf. The second best would be the subplot about “The Bath,” or what causes Teddy to wear a nose clip at lunch. Pete’s assertion that anytime someone makes gelatin they’re just not trying to make a good dessert is too true. Even his hallucinated Revolutionary War soldier knows it’s just kind of depressing. Speaking of bad characters, that Trader Tim dude is the worst. I appreciate that the creators and writers are trying to create this alternate universe where all these weirdo characters coexist peacefully, but that kid’s just annoying—even if a series of trades did once land him a 1909 Honus Wagner baseball card worth $67,000. Mrs. Beardsley’s legs are just disgusting. 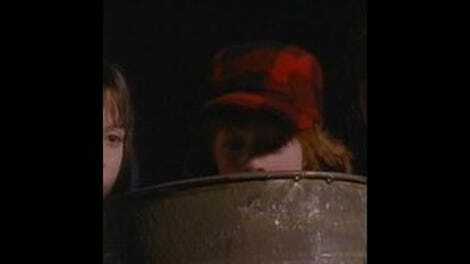 Excellent work, Pete And Pete makeup department for making audiences want to barf even 20 years later.